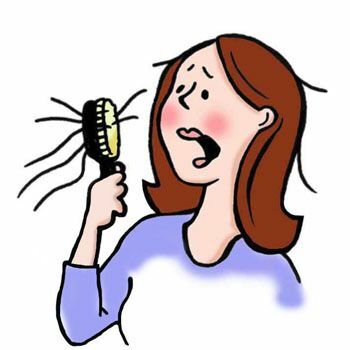 Hair fall is one of the most common hair problems and it is faced by almost every second person all around the globe. Endless products, pharmaceutical items and other similar stuff has been created by many hair care companies just to fight the problem of hair fall yet, the problem remains there. A number of factors contribute to the problem of hair fall and they can be treated or at minimum just reduced by following simple and everyday hair care tips. Diet is one of the fundamental elements for maintaining proper shape and functioning of the body. If you diet is not a balanced and an appropriate one then problems such as hair fall are bound to happen and you will come across them more frequently. A diet which lacks an appropriate amount of vitamins, minerals and iron in particular can be a major cause of hair fall. Therefore, in order to prevent hair fall, one of the primary steps is to start off by monitoring your diet closely and taking all the essential nutrients on daily basis. Also, drinking coconut water and eating nuts regularly is one the ideal hair fall solutions. Another major cause of hair fall is our hectic and ever stressful lifestyle in the world today. We all rarely get time to sit back and relax which ultimately affects our health in implied ways. Our hair are badly affected by increased stress levels and not taking a proper sleep of at least 7-8 hours daily. In such cases, hair fall starts of quickly and the hair tends to lose their shine and smoothness too. In order to take care of your hair and prevent hair fall, try using the herbal or home remedies first. Moving to professional hair treatments is not a good option as the hair get exposed to chemicals etc which become a cause for hair fall in the longer run. Therefore, one of the best treatments for hair fall is to do oiling atleast once or twice a week and make sure that you do not brush or comb your hair when they are wet. Combing the wet hair can increase the hair fall by three folds as even the strongest hairs are at their weakest points when washed. Cleanliness is indeed an essential part of maintaining good hygiene and health. Therefore, the same holds true for hair and it prevents the hair fall greatly. Make sure that your hair are dandruff free and do not have any problems of nits and lice as all this leads to terrible hair fall and it leads to a rough scalp too.